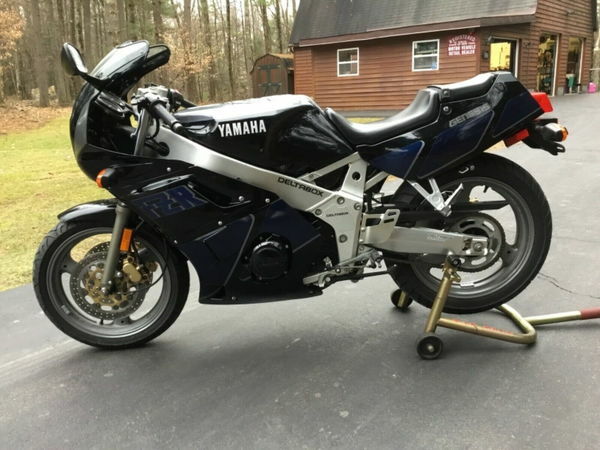 1990 Yamaha FZR-400 ~ 100% original and unmolested, with only 5022 miles.The bike is in a perfect working condition and ready to be sold to a new home.It has barely been raced and never modified. Only year in this color combination and Deltabox swingarm. New Pirellis front and rear, just did a head-to-toe service! Carbs, NGK plugs, air filter, anti-freeze flush, brake system flush, and oil change using Bel-Ray semi-synthetic. No rattle can or touch-up paint has ever touched this bike! This little Fizzer is not only rare but ready to ride! Clean Clear.